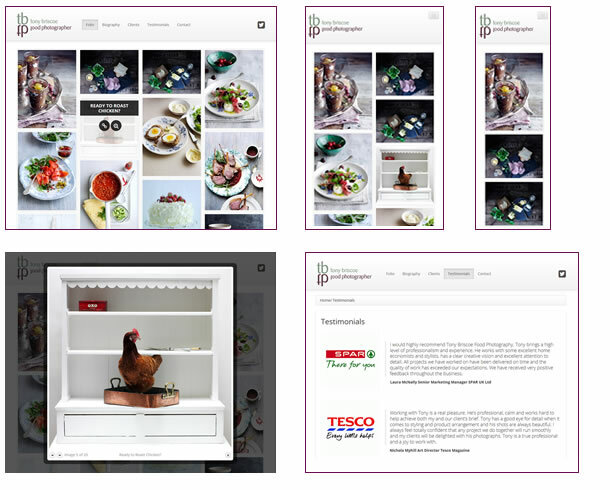 Details: London based Food Photographer Tony Briscoe has an excellent body of work from his wide client base. His work has a fresh, natural, graphic quality that needed to be supported by a modern clean and responsive new content managed website. His clients require extremely high-standards from him, and so he was looking for the same from me, and I’d like to think the together we met his brief exactly. WordPress powered easy-to-use CMS, with AJAX continous lazy loading of the folio images, lightbox popups and all fully responsive. EDIT – updated website now available… find out more.